New wonders large and small are continually appearing in Rosslyn. 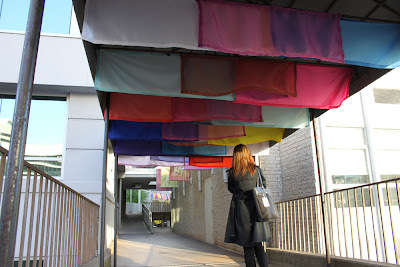 Since yesterday, colored fabrics have appeared on four of Rosslyn's skywalks. These new bursts of color spread the Cupid Garden whimsy out onto a wider canvas of public spaces. Sponsored of the Rosslyn BID, nationally acclaimed artist Rachel Hayes designed the fabric arrangements to complement the patterns and lines of Rosslyn's skyscape. 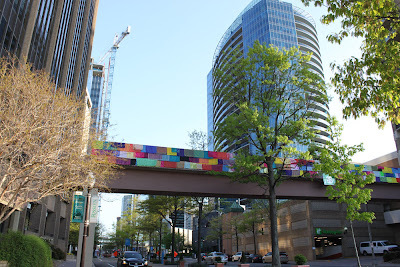 Rosslyn has a unique built environment. 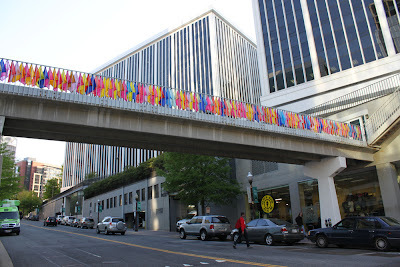 But above all what makes Rosslyn colorful are her people. 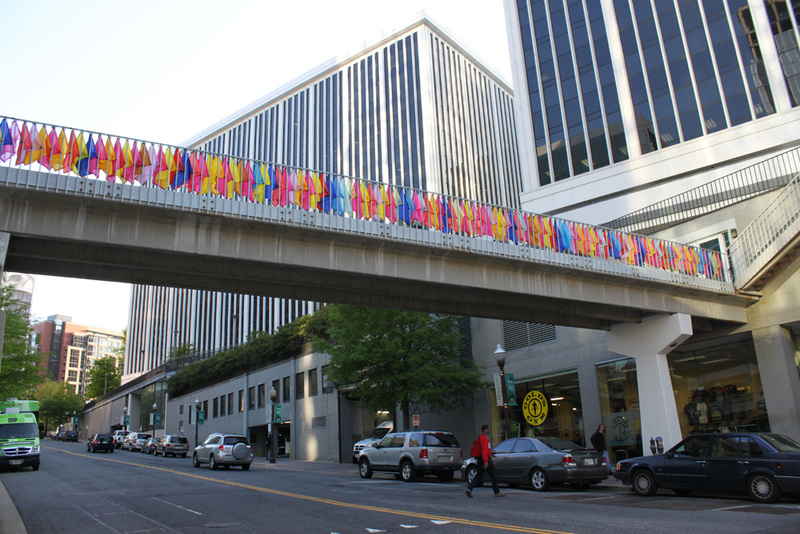 Take a walk around Rosslyn and enjoy what you can see. You'll be contributing your special color.